Inyo National Forest | Trace B. All photos here shown Lake Sabrina to Blue Lake in Bishop, CA (Inyo National Forest/John Muir Wilderness). So as you know, Ash and I headed to Yosemite for our annual trip up Half Dome. We knew that we might have issues training in and around the area because of the RIM fire but we took a chance anyway and were pleasantly surprised that the skies were clear and the smoke was mostly heading North to Carson/Reno areas. We spent the first day getting my MRP run done and then spent a good portion of one morning hiking from Camp 4 to North Dome. I have already posted about these two days earlier. On Saturday, we had passes to climb up to Half Dome but our plans were canceled quickly when we felt that the air quality had suddenly took a turn for the worse – dark skies filled with smoke, and fine ash particles everywhere. 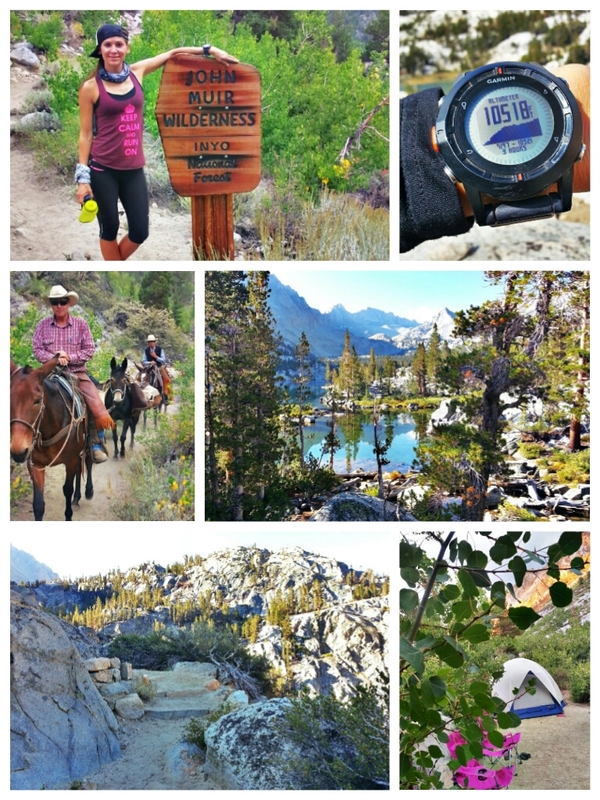 After confirming that some other friends had also turned around to find another training area, we quickly headed back to our campsite, loaded our cars and headed towards Mammoth as an alternate destination. On our way to Mammoth, we stopped for gas and were told that smoke had arrived (or would be arriving) there so we decided to get to Bishop and head up into the Mountains. We were so determined to have an epic weekend exploring trails that we drove campsite to campsite until we finally found a great spot at Lake Sabrina. Hurriedly we set up our tent at nearly 9,000′ and then put on our running shoes to explore and get a good sense of our training options for the next day with a four mile hike. On our way home, we stopped by Lone Pine for a beverage and we were pleasantly surprised to find my coach (Andy), Joel and Diana. They were there to support Diana on her JMT trek starting tomorrow. This was the best way to end the trip and I am very excited for Diana and her journey!